It was a pleasure to know that you have read part 1 and Part 2 of this series of articles. I am strongly convinced that you would find them interesting and helpful in a way. 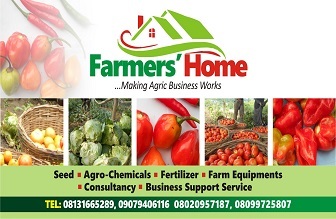 Farming vegetable generally involves certain degree of risks and unpredictability but with right knowledge and skill on your area of interest, you have certainly mitigated associated risks. I trust you would find this part interesting enough with a lot of take-home to your farming business. must get rightly. For cucumber as well as other vegetable crops, there are tons of seeds varieties as there are many seeds companies. You must consider a lot of factors in deciding which seeds type (variety) to plant. That a particular seed type is doing well in one region is not enough to think that it would do well in your region as well. There are cucumbers seeds specifically breed for certain regions e.g. temperate region, tropical region: high land or low land. Your choice of seeds should be based on this first. There are other factors to be considered. There are basically three classes of seeds. Local seeds: These are indigenous seeds that are common to your region. It varies from location to another. Local farmers are in the habit of removing seeds from this season harvest and preserve such to be used as seeds for the next planting season. I would advise you not to practice this unless for an obvious reason such as planting a variety not available again in the seeds markets. Improve open pollinated seeds (OP): These are indigenous seeds which seeds are produced by natural pollination through successive generations. Don’t mind the terminology, it simply means they are better than the local varieties in terms of yield, diseases resistance etc. They are often sold as packaged seeds. Hybrid seeds (F1): These are seeds that result from controlled pollination involving at least two parental lines. Don’t mind the biological slogan. These are seeds that have been worked on to improve their resistance to diseases, increase yield, and improve shelf life among other qualities. Just like a marriage between a tall woman and a dwarf man would most likely produce an in-between. I would suggest you choose this except for any obvious reason related to market specification. The same effort could give you four times the produce you would get from OP all things being equal. 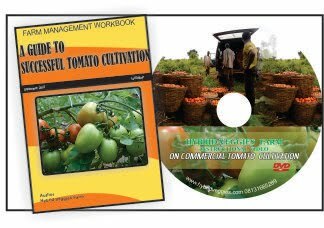 You may also read: Things you need to know when contemplating vegetable farming? Fruit shape and appearance: This is another factor determining your choice of seeds. Cucumber comes in different shapes, appearances and colours: dark green cucumber, Light green cucumber, Very light strip green cucumber, white skin cucumber, skinny shape cucumber, plum shape cucumber etc. Your market first; your market must determine your choice of shape and colour. If you produce a great type of cucumber for a wrong market, believe me, you would never get value for your effort. On a lighter note; a friend once produced beautifully looking light strip green giant cucumber, he took 300kg (10 bags) to the market but not a dime was paid for it. He was pressured to return his produce; he has to sneak away abandoning the produce in order not to incur another cost of transportation. In Nigeria, generally, the market gives premium to dark greenish cucumber. Going forward, all local/OP cucumber seeds are monoecious (please refer to part 2 of this article) while hybrid cucumber seeds can either be monoecious or dioecious. Those dioecious are mostly breed to be predominantly exclusively female plants while very few exclusive male plants would be produce from the seeds. What this means is that potentially you are face with high yield since it is unlikely for exclusively female plant to produce male flower. It is essential to note that a monoecious cucumber plant could produce exclusively male flowers in response to day-length, heat stress; period of the year etc. which is tantamount to yield reduction. This abnormal behavious in cucumber has been eliminated with the use of dioecious seeds. Cucumber is prone to a lot of diseases infestation just like any other vegetables. The most common diseases known with cucumber crops are mildew, mosaic virus and damping off. The powdery mildews (including other mildews) and the damping-off can be prevented with the use of fungicide with following active ingredients: metalaxy, mancozeb, maneb, propineb etc. You may want to apply every two weeks during wet season or once or twice during dry season. Ideally, it is advisable you use preventive measures rather than curative measure for most diseases in vegetables. Never wait to see any disease, protect your crop in advance. As for the mosaic virus; if you are able to prevent whiteflies (mostly during dry season) and aphids from occupying your cucumber crops, you have nearly won the battle. Use appropriate insecticide that is environmental friendly specifically manufactured for this purpose. You may wait to see signs of insect before deciding which insecticide types to use. 3. Pest Management: Bees & Companies: Why is this important factor in cucumber cultivation? Pest particularly insect pest management is a tricky issue in cucumber (cucurbit family) cultivation. The reason being that cucumber needs a lot of beneficiary insects’ activities to fruit maximally. Cucumber plant by nature has imperfect flower pattern (Please refer to Part 2 of this article); as a result, it experiences cross pollination to ensure fertilization. Beneficiary insects like bees, wasp and butterflies play the leading roles in this pollination. The challenge now is; how do you encourage the presence of beneficiary insects and repel the others like worms, aphids, whiteflies, grasshoppers, crickets etc.? (a) The use of insecticide would readily come to your mind. You are correct! But not all insecticide is allowed. Broad spectrum insecticide (You may read: Understanding the world of Insecticide: Part 1 and 2) is not to be used once the cucumber starts flowering otherwise you would also kill and or deter the activities of the beneficiary insects. Narrow spectrum insecticides that would not affect beneficiary insects can be found with agro-chemical dealers. You may look for narrow spectrum with active ingredients such as Spirotetramate , Flubendiamide etc. In addition, only spray this chemical in the twilight. The reason being that beneficiary insects especially bees are mostly active in the morning, therefore in order not to disturb their activities, it is good you don’t spray in the morning. (b) You may also use some organic products containing growth hormones and stimulating enzymes that enhance multiples flowers formation on your cucumber plants. Also this products produce sweet aroma that will attracts bees, butterflies and other insects responsible for pollinating your plants. Also, to attract bees, you may mix 3 table spoons of sugar with 16L of water (completely diluted) and use it to spray the flowering crops. This can also be mixed with the organic product aforementioned. (You may find the detail of this through: http://www.hybridveggies.com/p/industrial-organic-fertilizer.html) #Fruit bloom. I want to believe you find this part 3 very interesting. We would appreciate your comments, critics and contributions to improve the qualities of our articles. Please be kind to leave such behind. The penultimate part would deal with staking/trellising methods for cucumber, harvesting, sorting and storage and marketing channels of cucumber fruits. Thanks again for reading. Cheers!